Our June issue of Intercom Magazine is out now! 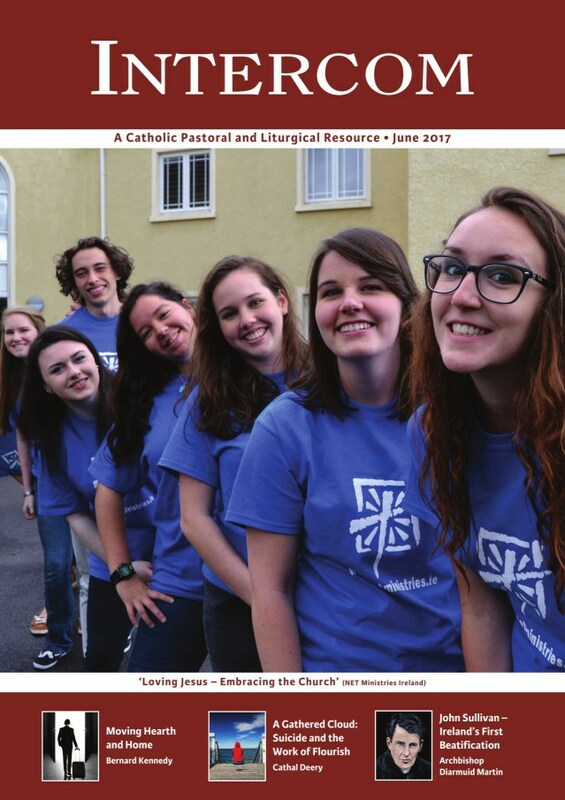 ‘Loving Jesus – Embracing the Church’ – This month’s cover shows youth ministers from Net Ministries Ireland, who feature within with an article on ‘Forming Disciples’. Other highlights in our new issue include Father Bernard Kennedy’s ‘Moving Hearth and Home – A reflection on Clerical Mobility’, Father Cathal Deery on ‘Suicide and the Work of Flourish’, and Salvador Ryan on ‘Mary, Untier of Knots’, along with all our usual prayers and resources for the month of June. Click here to see our full contents page. Our June newsletter, Family Mass and Irish Mass resources will be available here shortly. May resources can be found here.